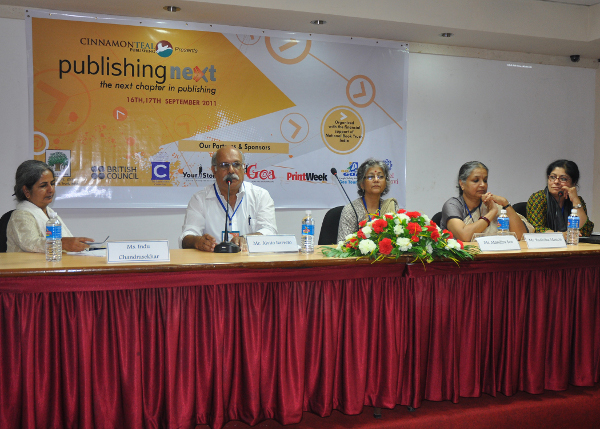 Publishing Next, the conference that dwells on a single point agenda, the “future of publishing”, will be held in Goa on the 14th and 15th of September 2012. This year the conference has expanded its scope to include panel discussions, “how-to” workshops and insight talks. The conference, which will be held at the new and swanky Krishnadas Shama State Central Library in Panaji, Goa, will bring together participants from all over India. Some of the publishing houses that will be represented by speakers on various panels include Sage India, Springer India, Pearson Education, Duckbill Publishing, Chhatim Books, Hachette India, Penguin India, Madurai Press, Jyotsna Prakashan, New Horizon Media, Pratham Books and many others. A wide variety of languages, genres and geographies have been represented by the people attending the conference. 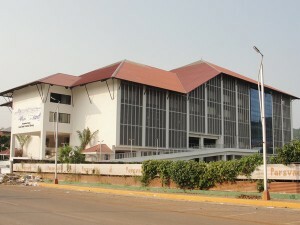 During the conference, there will be panel discussions on how to get children and young adults to read, the state of Indian language and academic publishing and the steps that can be taken to encourage new authors and publishers as also to preserve oral traditions through publishing alternatives. In parallel, there will also be workshops on how to self-publish, how to measure the ROI on digital investments, how to work with online retailers and how to develop books for the mobile platforms. Perhaps for the first time in any conference of this type, there will be workshops introducing new printing techniques. Insight talks by Ashish Goel (formerly ACK), R Sriram (ex-Crossword), R Sundar Rajan (Just Books), Ganesh Devy (Bhasha Research Centre) and Badri Seshadri (New Horizon Media) will also be held. These will primarily be experience-sharing sessions given the varied experience of the speakers. Publishing Next was envisioned as a platform that will provide uninhibited discussion on the future of publishing in all its aspects. That meant that technological changes alone could not be the focus of discussions. New business practices, trends and shifts in consumer and producer behavior had to all feature in the deliberations that occurred. Simultaneously it was deemed important to ensure that all sections of the publishing community had a voice in what was discussed and deliberated. And that there was ample opportunity given for all to network and build relationships. The format of the conference has therefore been made three-tracked so that there is something in it for everyone. While publishers can meet and network, they will also be introduced to new trends in technologies and business practices that will directly impact their businesses. People who have recently stepped into a career in publishing will do well to attend so they can understand how publishing has evolved, the gaps in publishing that can be exploited and meet new people who can help their businesses. The panel discussion titled “Expanding the publishing pie”, for instance, will look at the publishing sector from an entrepreneurial perspective and will have investors on the panel who will offer advice on how to obtain funding for a publishing house. Editors, illustrators and other service providers will also benefit tremendously from the conference, given the opportunity to meet others from the publishing sector, especially publishing editors and decision makers from reputed publishing houses. In the first edition of the conference, held in September 2011, such meetings proved very valuable as they offered many people the opportunity to offer their services to these publishing houses. Given that there is a panel discussion on the distribution and retail aspects of books, there is much that booksellers will also benefit from the conference. For bibliophiles themselves, the conference offers the opportunity to know more about the publishing industry, little of which is documented, and meet with various publishers. The opportunity to discuss a manuscript is also always there. Two exciting panel discussions – one on the state of Indian language publishing and the other on the preservation of oral traditions through publishing will, perhaps for the first time, allow an insight into “non-English publishing”, which, quite unfortunately, hogs much of the print media space allocated to the publishing sector. These two discussions will bring together people who have done tremendous work in these fields and who have an in-depth knowledge of the issues involved.